Last minute offers on Vis apartments, villas and hotels. Book your accommodation in Vis now and get up to 30% discount. Vis does not suit well as one piece of a Dalmatian Islands trip considering that the only ferryboat to the island running year-round is from Split and it's a very long journey. However a specific sort of tourist would enjoy staying in Vis and passing over every location else. You can really get away from masses here besides the five weeks or so in the summer season when the Italians stream over. If we include in this exceptional historic, cultural, and natural ancestry the gorgeous clear sea, spectacular concealed beaches, coves and islands, pleasant apartment owners and comfy accommodation in holiday houses and apartments, it is obvious why Vis is the preferred traveler spot for those guests who would like to try the original and practically gone genuine Mediterranean surrounding and lifestyle. Vis can be reached by ferryboat or catamaran from Split in the summer season and by ferryboat from Ancona, and catamaran from Pescara. Between seasons schedule shifts a number of times, and it is advised to get in touch with the local office of Jadrolinija for precise details. As a result of its distance from the continent, most of arriving visitors to Vis want a calm vacation, in seclusion and natural beauty. Nevertheless, in the course of the summer season the island revive with music nights in August, fishing events, performances, night bars or a few of recently opened elegant restaurants. Accommodation options in Vis are focused on holiday homes or luxury villas. Visitors to island of Vis remain primarily in apartments or suites hosted by the private owners. Do you wish to book last minute apartment or holiday house in Vis? This is the most ideal time and the great website. Take a look at our fantastic last minute apartments, villas and hotels in Vis and make the most of discount price cuts as up to 30 %! Cheap accommodation, max 4 persons, Vis town of Vis price per day from € 40 The accommodation is completely equipped with everything to make your holiday enjoyable. Distance to the shopping center: 800 m. Distance to the beach: 180 m. Distance to the restaurant: 600 m. General details: barbecue, parking. 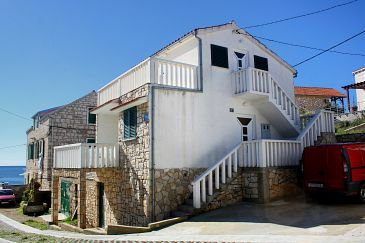 Apartment 35 square meters, close to the sea, Vis, Croatia town of Vis price per day from € 48 Book summer accommodation in Vis on the riviera of in Croatia and enjoy in summer holiday in one of the most prominent summer places on the Croatian coast. General details: barbecue, parking. Distance to the restaurant: 700 m. Distance to the shopping center: 900 m. Distance to the beach: 300 m.
Holiday apartment, 47 eur per day, Vis town of Vis price per day from € 47 Conveniently situated in Vis, this apartment is a fantastic base from which to uncover this vibrant city. From here, guests can enjoy easy access to all that the lively city has to offer. General details: barbecue, parking, outdoor shower. Entertainment and Sport: outdoor grill, Satellite television. Apartment, close to the beach town of Vis price per day from € 40 In one of the most charming holiday destination, the city of Vis is situated this inexpensive apartment. Their design is a combination of traditional and modern style and comfort is the most essential feature. 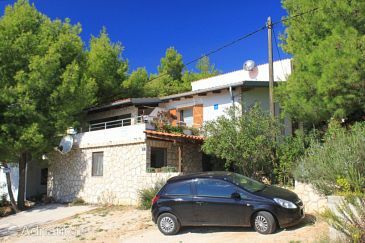 Distance to the restaurant: 70 m. Distance to the beach: 500 m. Distance to the marketplace: 110 m.
Cheap accommodation, max 5 persons, Vis town of Vis price per day from € 79 Book comfy and budget-friendly holiday apartment located in a quiet part of Vis, only 250 m away from the nearest beach. Entertainment and Sport: outdoor grill, Satellite television. Distance to the restaurant: 20 m. Distance to the shopping center: 70 m. Distance to the beach: 250 m.
Hotel Tamaris town of Vis price per day from € 92 Situated right on the coastal promenade in the real heart of Vis, Hotel Tamaris presents air-cooled accommodation and a dining establishment. All rooms come with satellite tv, a wardrobe and a work desk. Featuring a shower, private restrooms also come with free toiletries and towels. Tennis and mini golf can be enjoyed on site or in the immediate countryside. Regular lines to the city of Split leave several times a day from the Ferry Terminal, 400 metres away. 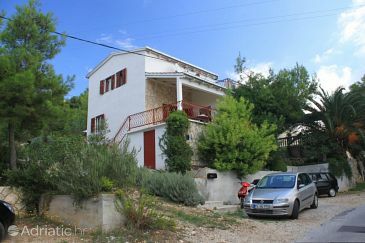 Rooms Dilk town of Vis price per day from € 35 Rooms Dilk is set 200 metres from the centre of Vis. Surrounded by a back yard, it presents air-cooled rooms, free car parking and gratis wireless internet access. All rooms feature a refrigerator and a private toilet with shower, free toiletries and towels. A shared kitchen is at guests' disposal. The closest grocery store and a dining establishment are 100 metres away. A local bus stop with lines to the city of Komiža is 150 metres from the Rooms Dilk.